I brought my nephews and niece for a visit to Kampong Glam on Sunday afternoon. This area was once home to Singapore’s Malay royalty. During Ramadan, the place comes alive with performances and street bazaars. Now is a good time to soak in the festivities. 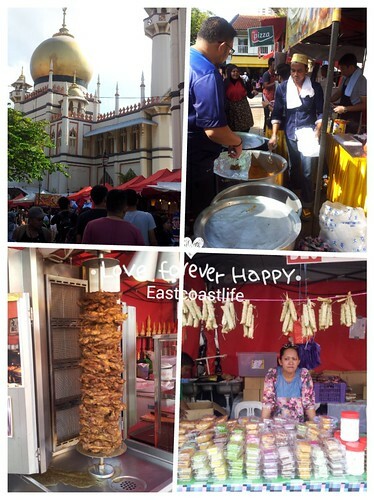 Food stalls at the street bazaar cater to Muslims breaking fast. 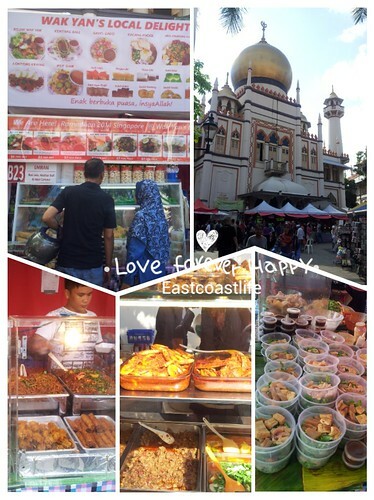 Many locals and foreigners come here for the yummy traditional Muslim food. There are a few food stall owners who will set up a stall here only during the annual fasting month bazaar. 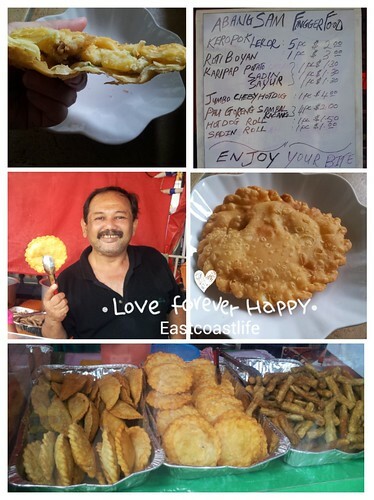 I discovered a new snack - Roti Boyan (Indonesian bread) S$3 each. It's mashed potato and egg wrapped in a pastry crust, pan fried to golden brown and dip in a sambal tumis ikan bilis sauce. Delicious! That must be awful to see all this food when you do the Ramadan ! As I am not I wished I could taste all this good stuff !